Myth No. 5: The “Commerce Clause” gives the federal government the power to regulate any and all functions of business. Words in politics seldom have the same meaning they do in normal usage —at least to the person using them. For example, one of the earliest labels given to the American system of government was “federalist”. “Federal” is still the most popular term today when applied to the central government. However, a majority of the delegates to the Philadelphia Convention were seeking to establish a “national” government rather than a “federal” one, and the Constitution, without the Bill of Rights, does in fact, establish a “national” government, not “federal”. Only after the inclusion of the Tenth Amendment in the Bill of Rights, can it rightly be labeled as federal. The one time that delegates to the Constitutional Convention brought up a bill of rights, it was unanimously rejected. 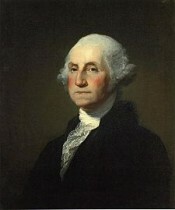 Three days before the end of debate, Elbridge Gerry and George Mason introduced a motion to add a bill of rights to the Constitution in order to specifically limit the powers delegated to the central government, only to have it turned down with little or no debate. 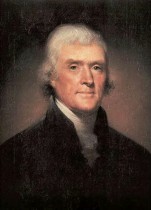 During the ratification process many states ratified the Constitution only after getting assurances that a Bill of Rights would be added when the new government took office. Even then, it was not until several states threatened to call a second convention for amending the Constitution under Article V did the first Congress reluctantly agree to submit a list of amendments to the states for ratification. Understanding the passion with which the central government has always pursued nationalism over federalism helps to explain why we drifted from the federalist form of government we started with to the nationalist government we have today. The tool that has been used — bit by bit— over the years, to nationalize virtually every aspect of government is what George Orwell called “double speak“ and I call “reverse English”. For example, the faction that supported the original Constitution was called “federalists”. Those who opposed the Constitution, but eventually compromised, accepting the addition of a Bill of Rights, were called “anti-federalists”. In reality, the “anti-federalists” were the true federalists and the “federalists” were really nationalists or early statists. One of the most frequently corrupted words in the Constitution and the one who’s meaning is stretched more than any other is the word “commerce”. By making the word synonymous with the word “business” and ignoring the words “among the states”, Congress and the courts have expanded government powers into virtually every segment of the economy, and through the economy, into every nook and cranny of our daily lives. The original meaning of the word “commerce” during the time of the Founders simply meant “trade”; the buying, selling and transporting of tangible products in exchange for money or other goods. In researching material for this article, we searched dozens of dictionary and encyclopedia definitions. In each case the definition was always substantially the same as the one at Investor Words. com, “The buying and selling of products and services between firms, usually in different states or countries”. Jon Roland, a founder of the Constitution Society and a Constitutional scholar in his own right, made an extensive study of the subject and published his conclusion on the Constitution Society’s website. “My research of instances of use finds only that ‘commerce among the states’ meant ‘transfer for a valuable consideration of ownership and possession of a tangible commodity from a vendor in one state to a customer in another’. In other words, it would not, for example, include a sale from someone in Lower Michigan to someone in Upper Michigan that happened to be delivered via Illinois. I have also found as objects of such regulation aggregation only up to the level of single shipments of multiple units, not some ‘stream’ that might include non-qualifying objects”. “As originally understood, interstate ‘commerce’ did not include primary production, such as farming, hunting, fishing or mining. It did not include services, securities, or communication. Nor did it include manufacturing, transport, retail sales, possession, use, or disposal of anything. It did not include anything that might have a ‘substantial effect’ on commerce, or the operations of parties not directly related to the actual transfers of ownership and possession”. The most preposterous extension of the commerce clause until recently was perhaps a ruling involving an Ohio farmer named Filburn, who was charged and convicted of violating a Department of Agriculture directive setting quotas on the production of wheat. The farmer harvested almost 12 acres of wheat above his allotted quota. His explanation was that he grew the wheat for his own use on his own farm for feeding livestock, etc., and not intended for sale on the market. Nancy Pelosi’s House of Representatives must have had this case in mind when they wrote their health care bill. According to one report the bill contains language claiming the constitutional right to mandate the purchase of insurance by individuals under the commerce clause because not buying insurance effects commerce. The sole purpose of the commerce clause was to guarantee free and fair trade between citizens and businesses in the various states. Until it is restored to its original meaning and purpose, it will be difficult if not impossible to reestablish America as a constitutional republic as created by the compromise between the Federalists and the Anti-Federalists.